These first-time homebuyers have a strange, unused room at the back of their cute new home. 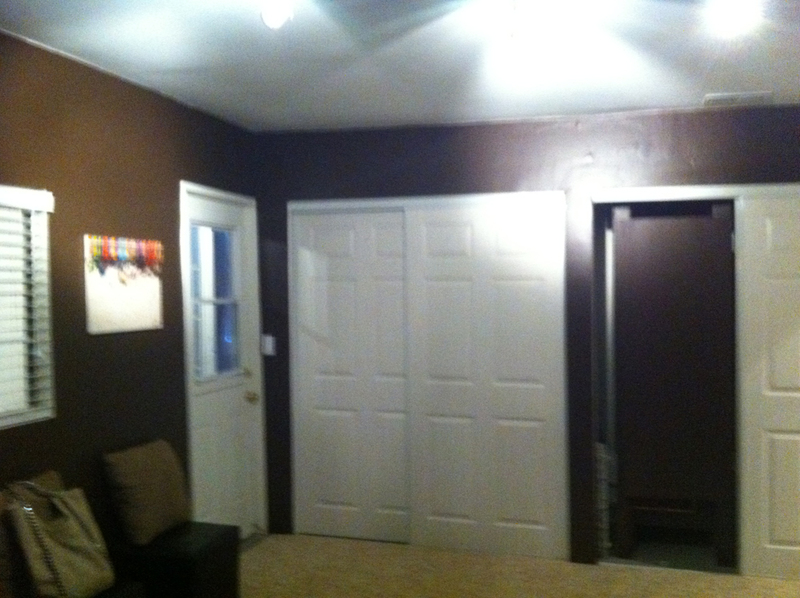 With dark walls, no natural light and a storage mudroom attached, this space needed some attention! In three days, licensed contractor and host, Josh Temple, and his crew knocked out a wall and brought in natural light with glass accordion doors. The old mudroom was opened up to become a large bar, faced with painted wood slats that are secured to the wall in a zigzag-like pattern. Plus, custom nesting coffee tables and benches are made from scratch.